The ashtrays are all gone. 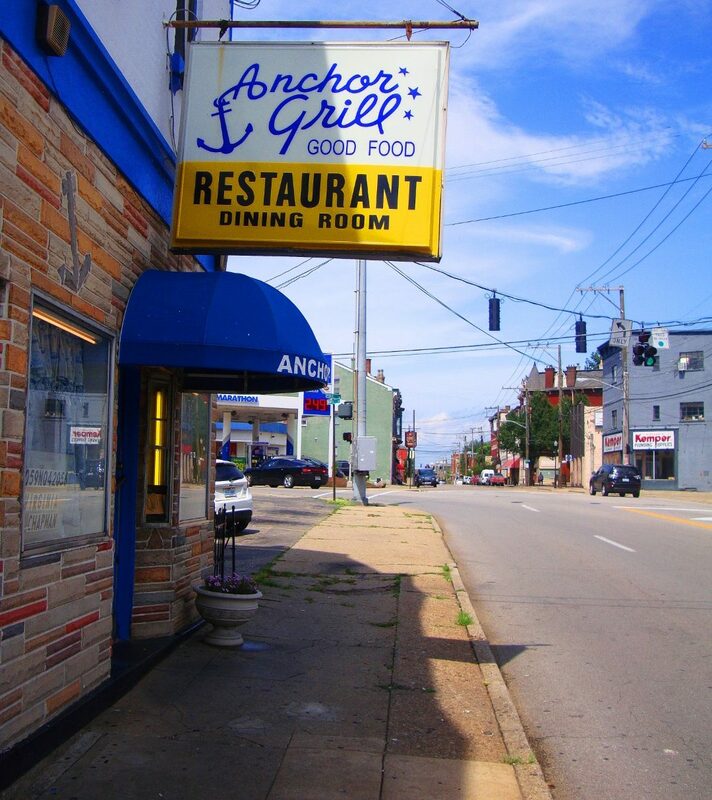 The puritans that run Kenton County had their moment in the sun back in 2011, and late nights at the Anchor Grill were changed forever. We loved the old truck drivers and stevedores who used to sit at the counter at the Anchor chain-smoking Pall Malls, and Winstons and drinking black coffee with a little saccharine tossed in it. We’d leave the bars in Cincinnati and motor across the bridge to Covington at 3 in the morning to eat cheeseburgers or Glier’s goetta and eggs cooked sunnyside. The old timers were so happy to have their stories to tell to a fresh set of ears that we’d sit there till the sun came up listening to their tall tales. 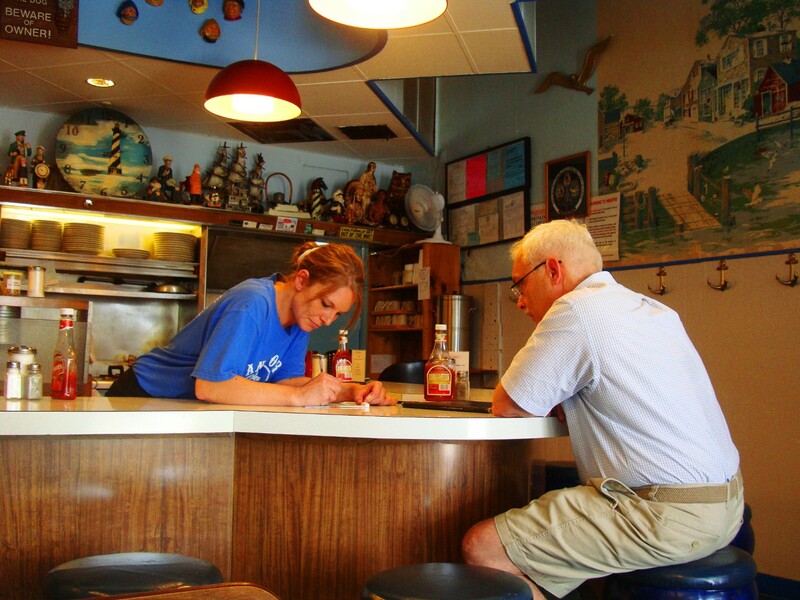 The “captain” of the Anchor Grill, Morton B. Chapman opened the diner in 1954. Mr Chapman would run the establishment til his passing in 2011. He spent the last few years of his ownership legally blind due to diabetes. So he worked as dishwasher. Word has it that the plates remained spotless. Morton Chapman was born in Russell, Kentucky near the West Virgina border. He was a 33rd-Degree Mason with the Scottish Rite Valley of Covington, and was a member of the Syrian Temple in Cincinnati. He was also a restaurateur of the highest order. After the captain’s passing, Chapman’s daughter Carolyn took the business over, and continues to run it today. Walking into the Anchor on a recent Sunday afternoon feels like coming home. I’m a short timer in the history of the business with barely 20 years in the game but the waitresses still treat me like I’m a life-long regular. 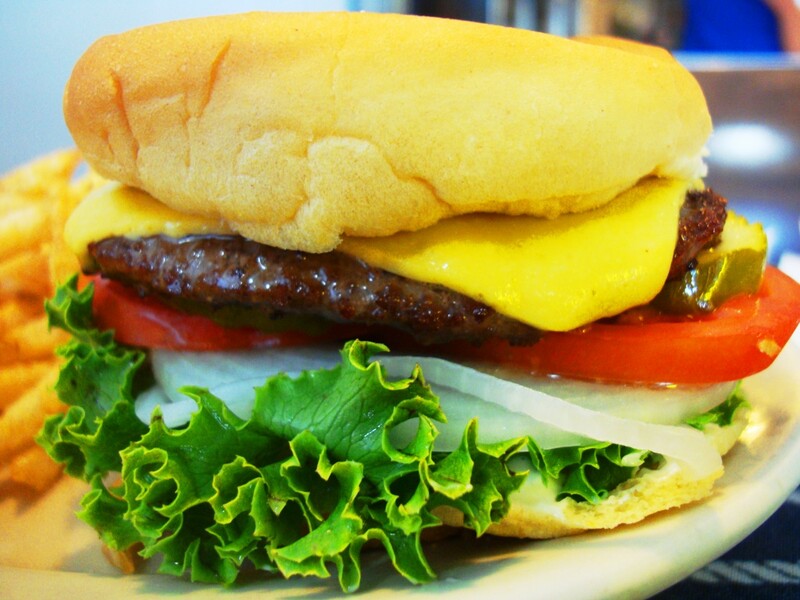 Ordering is always a dilemma as there are dozens of classics on the menu. Sometimes I get the white beans and cornbread; other times a sandwich of goetta, eggs and cheese on grilled toast but more often than not I settle in on a cheeseburger with house-cut fries. Just like the housewife at the counter in a starched, pale blue polyester dress. She’s in mid-attack on a hamburger. So is the pensioner in pleated Duck Head pants and canvas kicks. There are only three of us in the restaurant and we’re all eating takes on the burger form. With good reason. This is beef from an honest cow, served off a grill that’s seen thousands of pounds of meat come off it. Fries are honest too. They cut a real potato in the back and give it a bath in clear, hot oil before it makes its way to table. This is how Cincinnati was eating back when Harry Truman was in office. This is how Cincinnati was eating when Nixon was in office. The old grill has seen all the old politicos come and go. It’ll still be here when the current crop are pushing up daisies in their hometowns. 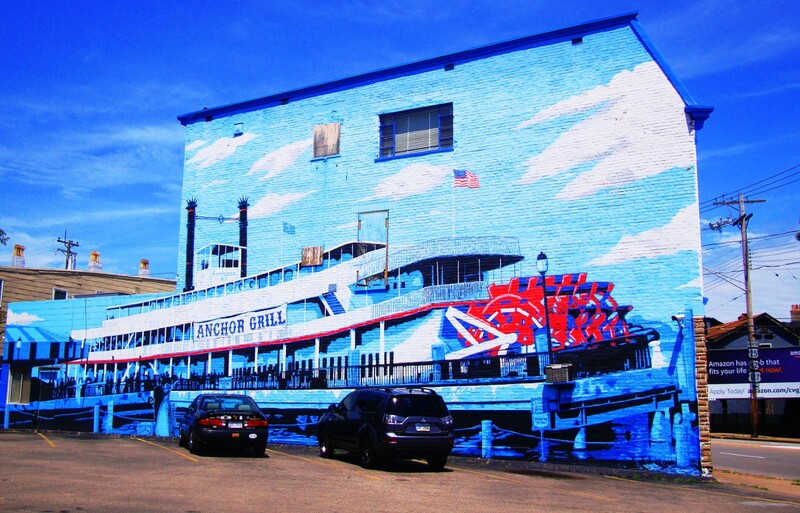 For the last 72 years Anchor Grill has fed the drunks, dockhands, reprobates, brake repairmen, attorneys, and other assorted members of the greater Cincinnati community. Along with Tucker’s Restaurant right up the road apiece, Anchor is holding on to a school of cooking that is a dying breed: trenchermen fare served at workingman prices in a room that hasn’t seen or needed an update since Frank Robinson was patrolling the outfield for the Reds at the old Crosley ballpark. Punk rock band Descendants wrote a song about Anchor Grill. This entry was posted in On The Road With RL Reeves Jr and tagged (859) 431-9498, 438 W Pike St, Anchor Grill Covington Kentucky. Bookmark the permalink.